Shop custom t-shirts cheap for your team, school event or special occasion to make everyone in your group feel included and appreciated. Available in a large variety and styles to fit your needs, our cheap custom shirts feature Guaranteed Low Wholesale Prices to help you save. Make your own t-shirts cheap – upload your logo and message, or create online with our easy to use Design Lab. Enjoy Free Shipping on select orders, and don’t forget to check out our custom water bottles for the ideal parring. Custom t-shirt printing reached its peak during World War II when screen-printing was used to convey propaganda messages on garments, posters and flags. Since then, clothing customization has flourished into a thriving industry. Today, garment printing serves a different purpose, and no clothing items is quite as popular as the printed tee. The service we offer at DiscountMugs has a rich and complex history, and its cultural importance is something we shoulder with pride. 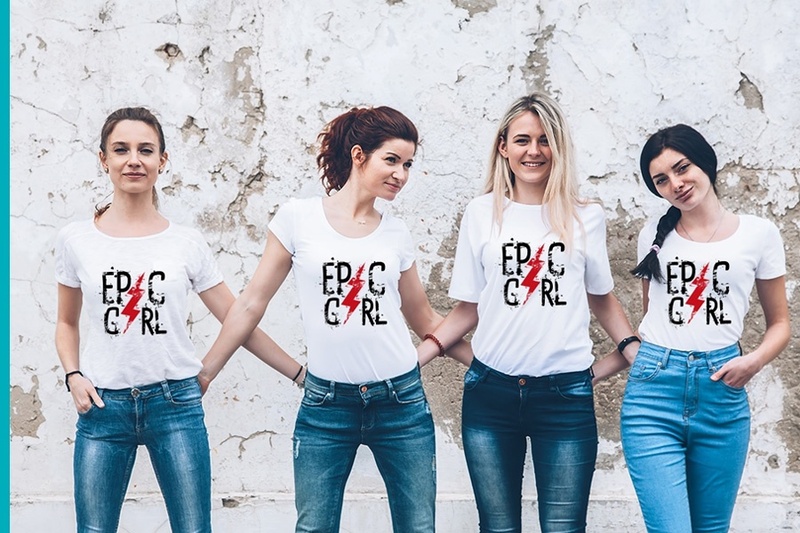 So, whether you're planning a sporting event, a company fundraiser, or an anticipated bachelorette party, we know there's nothing like personalized team wear to bring people together. Whatever style, design, or message you hope to convey, use our handy buying guide to help you make your own shirts cheap. To create your own cheap custom shirts, you’ll first need to decide on an image or design. It’s easy to get stuck at this point if you’re not a budding graphics artist, but a prototype of your garments can help you bring your idea to life. If you’re using a company logo or custom image, you can easily upload to our site using our Design Lab. Don’t worry about the finer details at this stage – those can be ironed out later, and nothing is final until we get your proof approval. If you don’t have custom artwork of your own, you may select from our creative t-shirt designs. Our library includes a variety of themes to suit weddings, birthday parties, fundraisers, sporting activities and much more. Customize with a message or names to make our wholesale tees your own. The overall feel of your custom t-shirts will depend on the colors you choose to include in your design. We carry a large selection of t-shirt colors, ranging from primary tones like red, yellow, and green, to more unusual shades like khaki and maroon. However, you’ll need to give some thought to the way your artwork can complement the shirt color you select. Again, our Design Lab can help you make amendments as you go. 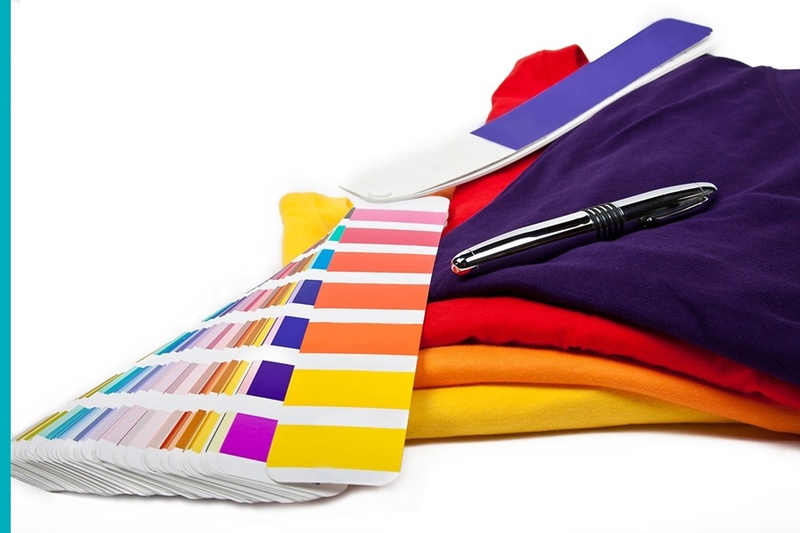 The look, quality and price of your wholesale t-shirts will depend on the fabric you choose. Certain shirt materials are better suited for occasions and activities rather than others. Our cheap custom shirts are available in fabrics that include cotton, polyester and other fabric blends that offer comfortable fits, and easy-care features. 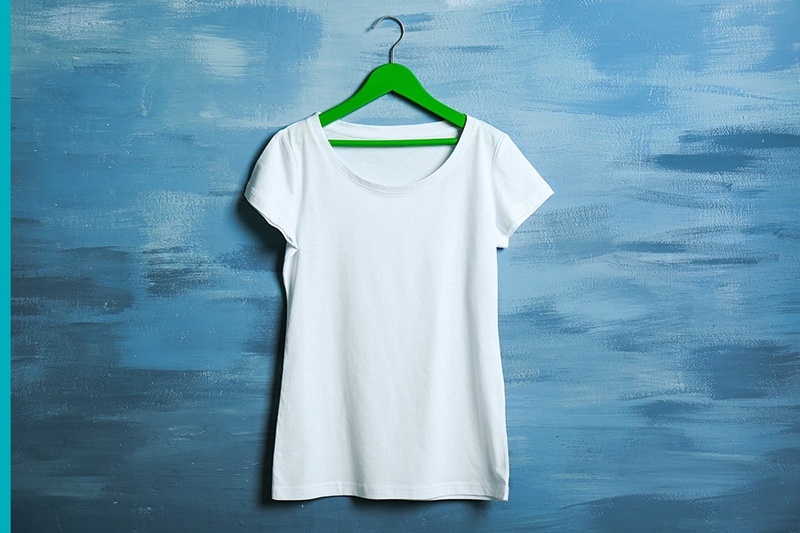 Cotton is considered the king of all t-shirt fabrics, but it is also known to shrink quicker than polyester or blended materials. On the plus side, 100% cotton is soft, breathable, lightweight and highly affordable. The perfect option when buying in bulk, consider cotton shirts if your garments will be worn and washed for a short time, e.g., a bachelorette party or specific event. Polyester is a synthetic cotton alternative. It dries quickly, doesn't shrink and is proven to last longer than other t-shirt materials. Polyester shirts are great for outdoor events and sporting activities, however, keep in mind they’re not as breathable as cotton. Blended fabrics offer the advantages of both cotton and polyester. Not only are blended t-shirts lightweight and breathable, they’re also wrinkle-proof! Read our blog for 9 other advantages of cotton and polyester fabric blends. Our personalized t-shirts vary in fabric weight and cater to value and longevity. Select from lightweight styles (3-5 oz. per square yard) for comfortable outdoor wear, and heavyweight (5-6 oz. per square yard) for casual wear you’ll submit to frequent washing. Dry-blend fabrics help keep moisture away from the body, so these are ideal for sporting events. The fit of your shirts will determine their overall appearance and comfort, both of which are important for any occasion. Our cheap custom t-shirts typically range from sizes S to XXL, depending on the brand. For exact sizing specifications, you can contact us directly. Unisex shirts provide a standard fit that can be worn by either men or women, however the shape doesn't differ from a classic men’s fit. Unless otherwise stated, they are not usually taped in any area, though some may feature slimline collars or sleeves. Custom unisex shirts are your best bet if placing an order for a large group. Women’s t-shirts tend to be fitted in specific areas, typically the bust and waist. They are contoured to fit any frame, and usually feature taped neck and shoulders. Youth t-shirts are also unisex, and unfitted unless otherwise stated. Like adult garments, youth t-shirts come in a range of materials and styles. Whether you’re hosting a fundraiser, heading up a bachelorette party, or buying uniforms for your sports team, we know that personal style is important. The classic crewneck t-shirt is a popular choice, but if you’re looking for something a little different, here are just some of the unique variations on offer. We also provide a choice of other garments, including work wear, jackets, hoodies, aprons, hats, and more. The finished look of your wholesale t-shirts will depend on the customizing method you select. 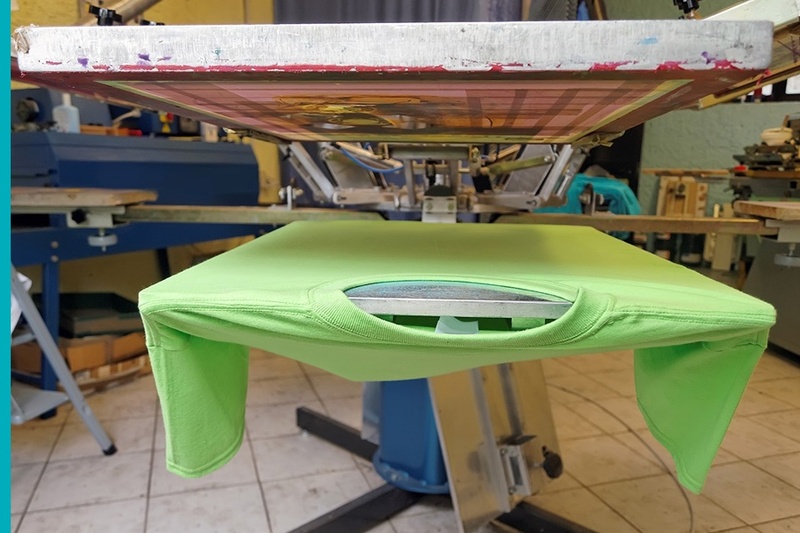 At DiscountMugs, we offer techniques that include direct to garment printing, full-color screen-printing and embroidery services to help your garments stand out. Let’s break these cheap t-shirt printing methods down to help you make an educated decision. Also known as DTG printing, direct to garment method prints full-color images with accuracy and precision. Much like your printer at home, it uses an inkjet technology to digitally transfer images onto your shirt. It creates a soft professional feel and stands the test of time. This method works best on cotton shirts and logos with up to three colors. 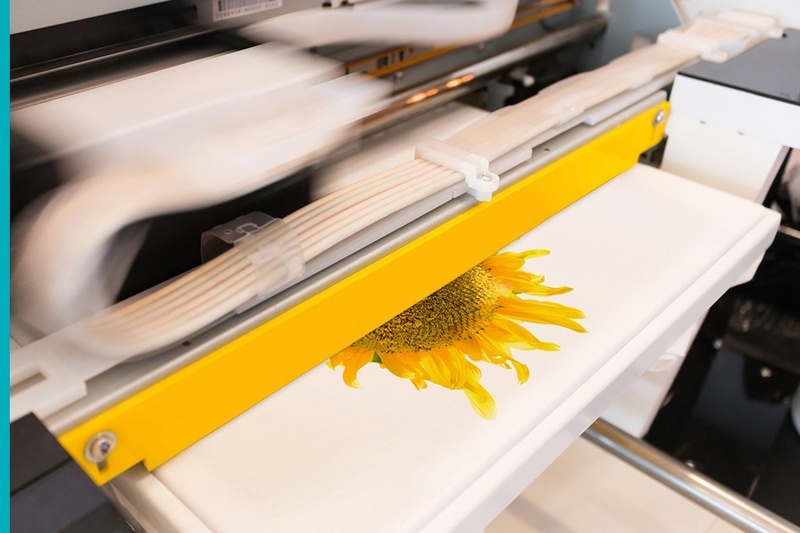 Screen-printing is cost-effective, long lasting and ideal for large images or custom designs. In screen printing, ink is applied directly through a small mesh onto the shirt for a crisp and clear finish. Screen-printing is best for solid color logos (you may print up to 4 colors) and large orders. At DiscountMugs we offer a professional embroidery service. Keep in mind this method works best with solid color logos, and large text or images rather than small details. 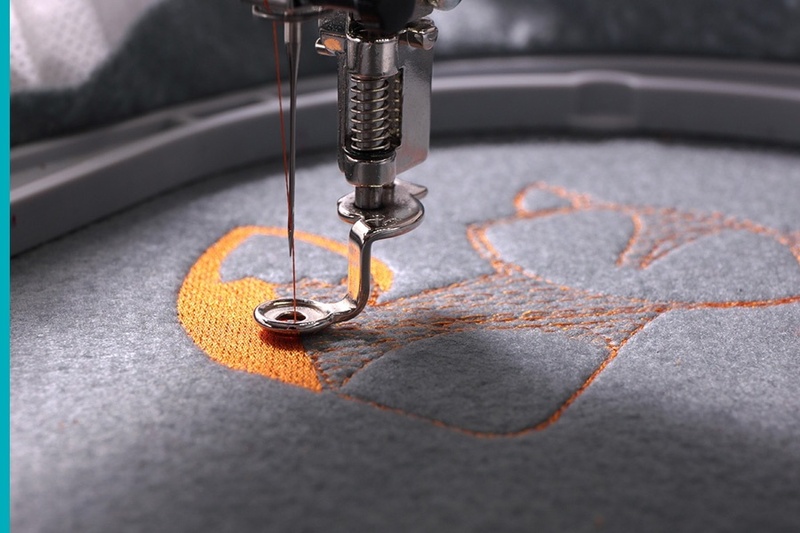 Embroidery can feel heavy on lightweight t-shirts, so we recommended to embroider heavyweight material only. Please note embroidery will require a longer lead-time than printing. Our price estimator can help you work out your purchase value. Head to the product page you wish to order and fill in values like desired imprint method and how fast you need your ordered delivered to determine the cost. The more details you provide, the more accurate the estimate we can provide on your cheap custom t-shirts. Are you on a budget? DiscountMugs is one of the most affordable t-shirt printers in the industry. Our Lowest Price Guarantee promises to match any of our competitor prices and beat them by an extra 10%. Indeed, cheap t-shirt printing never sounded so good! Please contact us directly if you need your cheap custom t-shirts delivered within a particular timeframe. The estimated average production time on bulk t-shirts is 6-10 business days. However, production time is dependent on order size, artwork complexity, or printing method requested. An email containing your artwork proof will be delivered to the e-mail address on file within 24 hours of your purchase. Estimated delivery dates may change based on the receipt of your proof approval. Please sign into your account to verify your estimated delivery date. All cheap custom t-shirt orders over $75 qualify for our Free Shipping offer. At DiscountMugs we strive to deliver all orders when they’re expected. However, please submit high-resolution images, and respond to our proof approval request at your earliest convenience to avoid delays. Select a Guaranteed Delivery Date, at an additional cost, should you need your items faster or we’ll refund your Rush Fees. Order our custom t-shirts cheap for personal or promotional use. At DiscountMugs we understand the need for accuracy, precision, and high quality service when it comes to custom printed clothing. 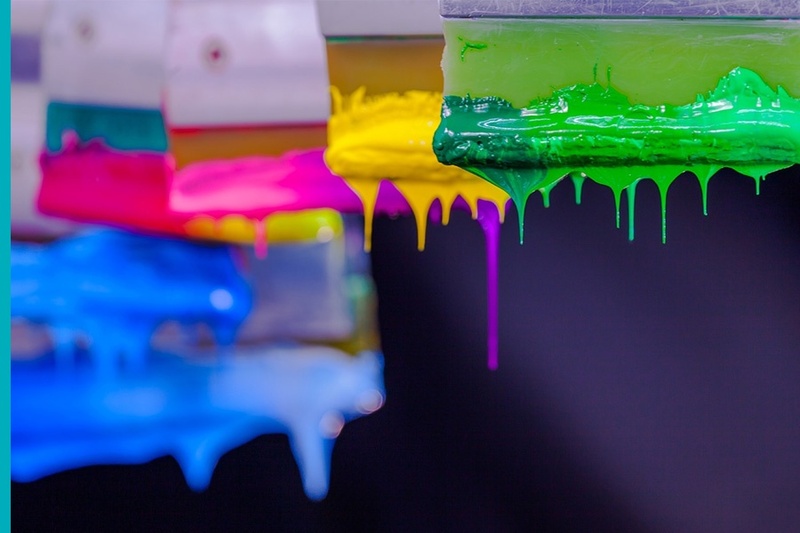 Experts in the cheap t-shirt printing industry, we strive for perfection and hope to inspire companies and individuals alike to put their best foot forward. Be it for a trade show, corporate gathering or social event, we only ask you trust in our ability to help share your message with custom t-shirts cheap.